The start of a new week, and I have to say I’m feeling pretty virtuous at the moment – nutritionally speaking that is. Two weeks after my last detox programme I’m still feeling the benefits. Long overdue after an incredibly social November, Christmas and January – both my body and mind were ready for a healthy reset. 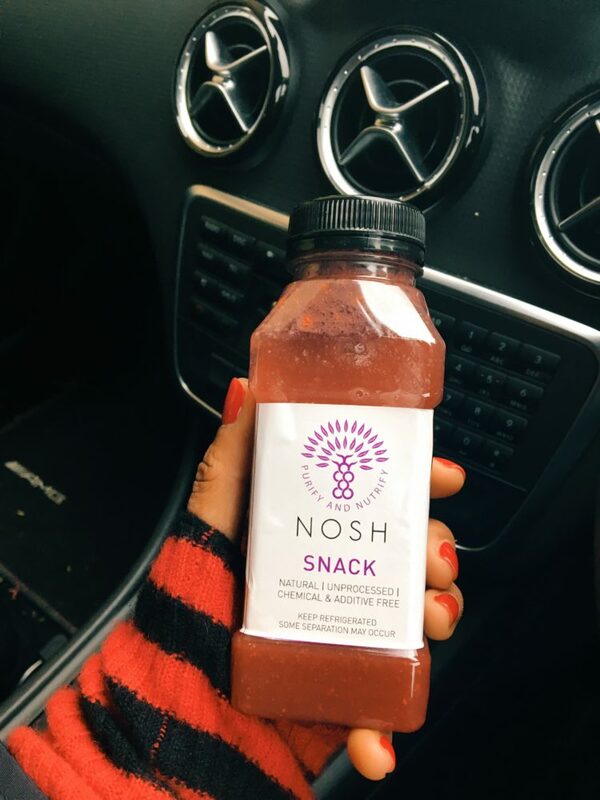 Anticipating the festive excesses I booked a 7-day Alkalise, Balance and Cleanse from Nosh Detox; a programme designed to help you lose weight and cleanse your digestive system. It may sound lazy to buy a detox, but the prospect of everything you eat being delivered to your door, freshly prepared every couple of days was extremely appealing to me. 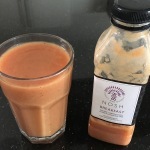 It is true though these types of programmes are not a cheap option, but the good thing about Nosh Detox as a company is they have regular offers on their website; so for this one I took advantage of a 20% off discount. I know have said this before, probably in one of my earlier blogs, but it is worth reiterating – I much prefer detoxing than dieting – it just suits my personality better. If I tell myself I am cutting out certain foods for the foreseeable future – my brain will obsess endlessly about those foods creating the polar opposite of a healthy environment for my mind and body. But a structured week of balanced, nutrient rich meals, without any caffeine and, importantly for me, no sugar is long enough for me to break the conditioned reflex of looking for “unhealthy” foods every day. The other massive benefit for me is reframing portion size. Portion control is something I have struggled with for as long as I can remember, and it is personally important for me to have at the forefront of my mind. Being attuned to when I’m hungry and only eating until I’m just full and not over full are also pertinent. Another big plus for this kind of programme is the food you get is a combination of smoothies, soups, snacks and proper meals. 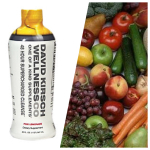 Years ago I did a few juice cleanses – literally just juice, and I found them really hard going – they affected my energy levels and I realised I am one of those people who needs to chew food to feel full. So, all in all, my 7-day detox was a success and whilst my goal was to feel ”healthier”, I lost about four pounds, which was of course a welcome by product. For me though, the tricky bit comes after the detox. I’m not bad at being disciplined for a short period of time; it is maintaining consistency with healthy food choices that I struggle with. But the detox has had a great knock on effect on my mind-set and I know I don’t want to undo all the good nutritional work I have put into place. So I have set myself some realistic guidelines – which seem to be working well for me. I am not denying myself anything – but I am making sure my caffeine free, and sugar free days outweigh the days on which I partake. So two weeks on, my bad habits seem to be minimal, I feel energised and “lighter”, and I don’t just mean in terms of weight and I am very much enjoying this state of being. So I’m going to keep up my strategy of moderation and the emphasis on lots of fresh fruit and veggies for as long as I can and see how I go…no doubt, I’ll keep you posted!